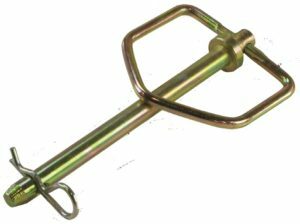 Forged head hitch pin with swivel handle and zinc plated “R” clip pin. 25% stronger than Grade 2. Yellow zinc dichromate plated.